Our Afogrill™ Mini Infrared Pasteurizer is the smallest on the market, providing an affordable starting place for small food manufacturers. 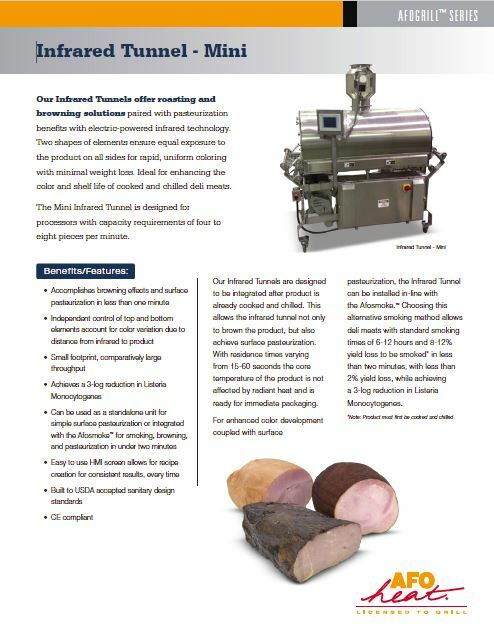 Despite its small size, the Mini Infrared Pasteurizer is a powerful piece of equipment, designed specifically for the deli meat industry. This patented technology offers combined browning and pasteurization benefits in a compact footprint. The product is pre-cooked and chilled before it passes through the Infrared Pasteurizer. 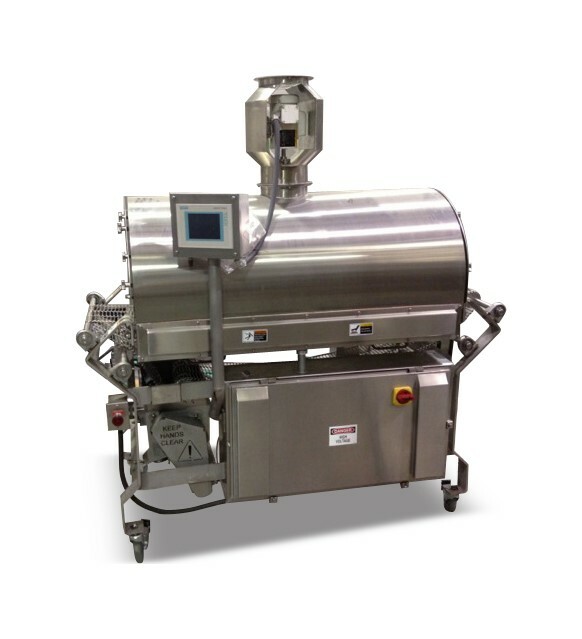 Our pasteurizer offers 360° coverage of your product with heating elements on top, bottom, and sides, encompassing your product in radiant infrared heat reaching over 1,000°F (537°C). This method achieves surface pasteurization in 60 seconds, and the short residence time allows your product to retain its core temperature of 4°F so it’s ready for immediate packaging upon exit.